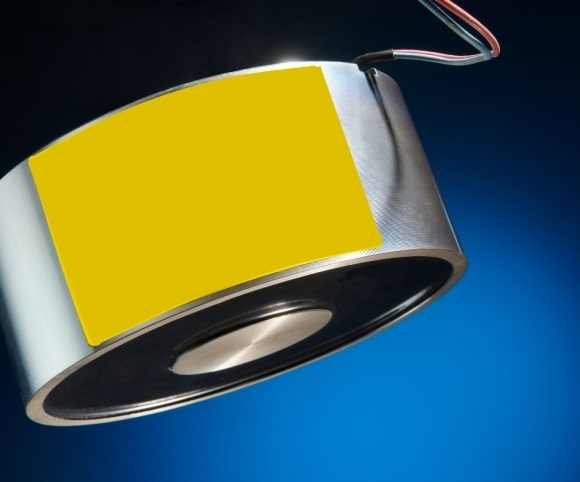 The holding field of round electromagnetic pot magnets is less deep, which makes them especially well suited for picking up, holding and releasing thin, ferromagnetic objects (up to 10 mm thick). A potential problem when picking up thin sheets is that the magnetic field extends too deeply and therefore picks up two sheets at a time. The use of many small magnets prevents multiple sheets from being picked up together. Electrical switching and the power supply are provided via a control box.